needs to say that it's still very much Winter. I bought these adorable little birds at Target before Christmas. they'd be perfect to use after Christmas. all give me that Winter feeling I was going for. 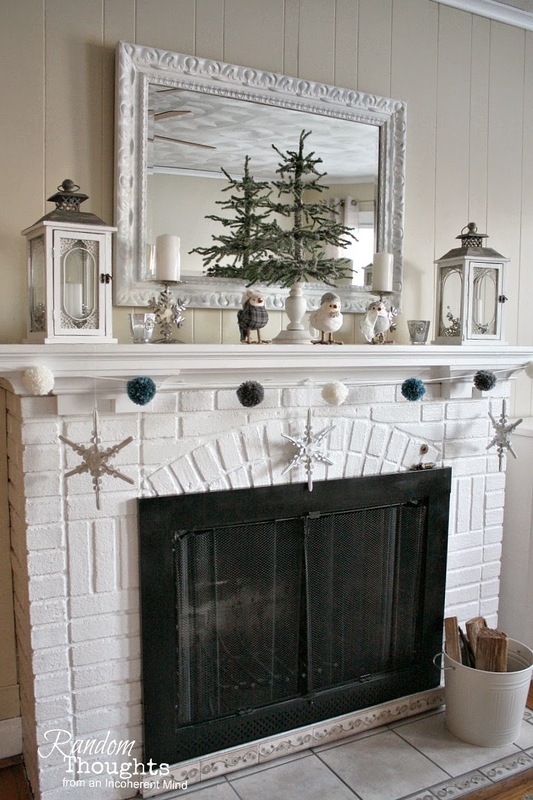 This is such a simple mantel, yet right on target with the season. please enjoy that warm sunshine for me. Gina - your mantle display is so beautiful!! It does remind me of a lovely snowy day (not that I see that many of those here in Georgia - lol!). 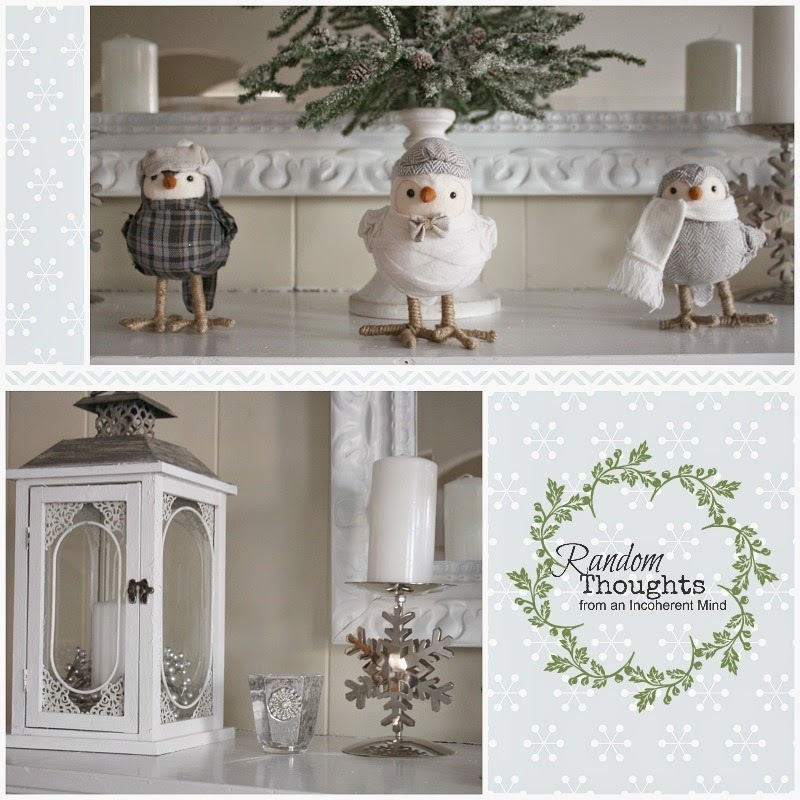 The little winter birds are just so adorable and those large snowflakes are the "icing on the cake". It has been cold here, but I guess I cannot complain compared to what you are experiencing. You stay warm!! Awww I'm loving the sweet birdies, Gina! They just make me smile as they're all spruced up in their wintry finery. The mantle looks perfect for the month of January! Great job! Very in tune for Winter....the birds are adorable!! Yes it's still winter there's no doubt about it. -30 cel here soooo cold. Your mantle is cute with those birds. I remember seeing them. Yes stay warm my friend. That is such a cute mantel, Gina! We aren't having to deal with frigid weather, so I really struggle with what to do around here. Those little birds are adorable! Love, love, love the birds. Stop by and see my snowflakes. I. LOVE. THOSE. BIRDS. Soooo cute! A beautiful mantel Gina. LOVE it! 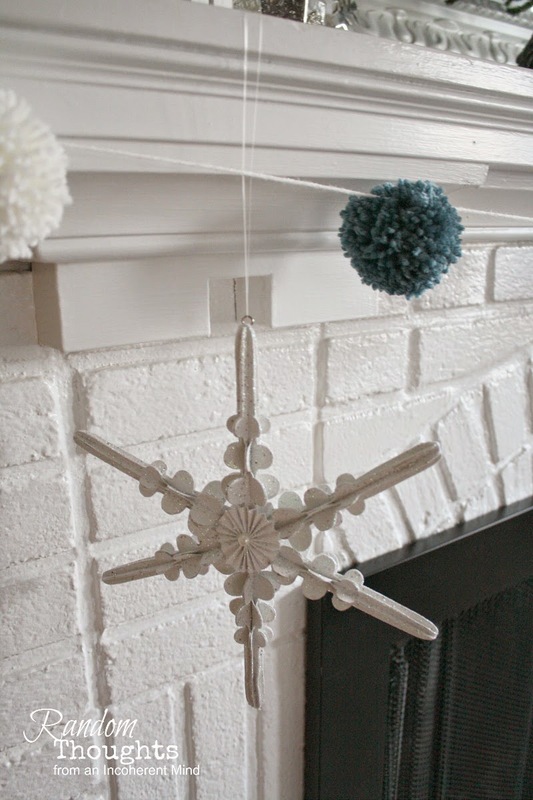 Your winter mantel is adorable and I always love checking out your newest creations! And THIS is my favorite of all I've ever seen from you. 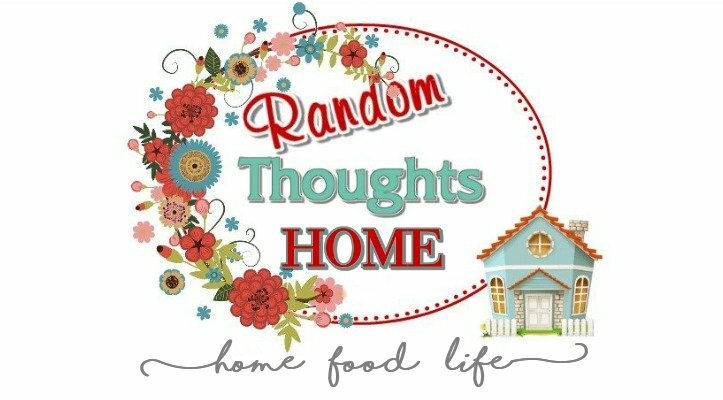 It's fun, it's cozy, it's celebratory of life and happiness. Prefect for the New Year. 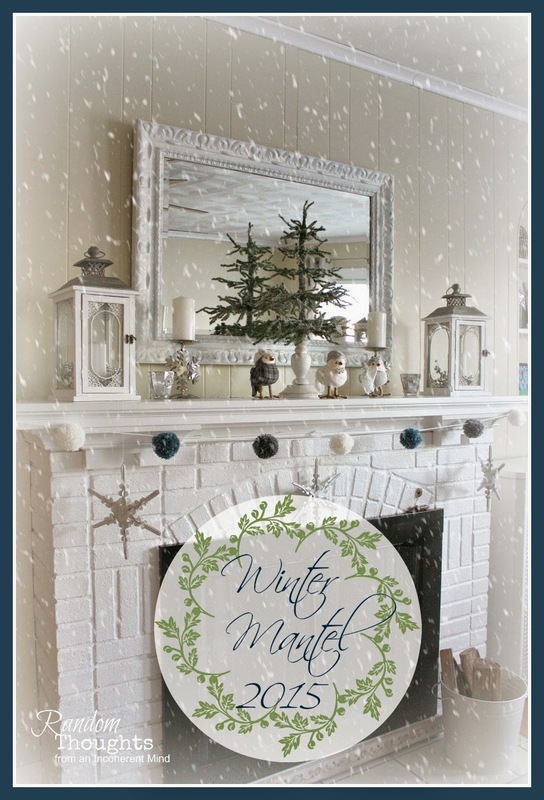 I love your winter mantel, I have pinned it because I am always needing great looking inspiration. Thanks. Lovely Gina. Loving the Pom poms too! 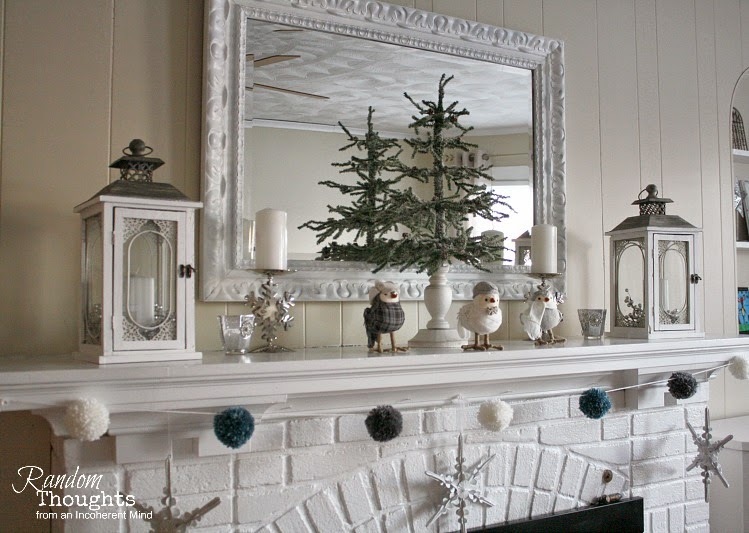 Oh my goodness, can't believe how fast Christmas came and went...Your winter mantel looks winter wonderful. Wishing you a new year filled with much love, good health, much happiness and many wonderful adventures. Thank you for your beautiful card my sweet friend. Sending you warm hugs.